Dark perils and great deeds await! 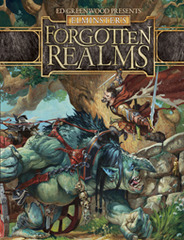 Welcome to Faer land of amazing magic, terrifying monsters, ancient ruins, and hidden wonders. 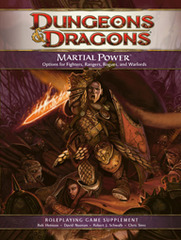 The world has changed since the Spellplague, and from this arcane crucible have emerged shining kingdoms, tyrannical empires, mighty heroes, and monster-infested dungeons. 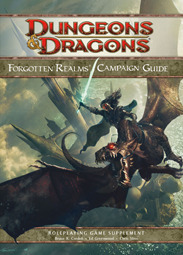 The Forgotten Realms Campaign Guide presents a world of untold adventure, a land of a thousand stories shaped by the deeds of adventurers the likes of which Faers never seen before. 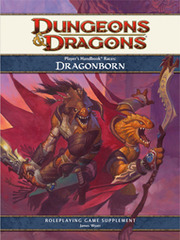 This product includes everything a Dungeon Master needs to run a D&D campaign in the Forgotten Realms setting, as well as elements that DMs can incorporate into their own D&D campaigns. 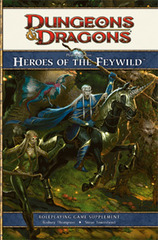 The book provides background information on the lands of Faer fully detailed town in which to start a campaign, adventure seeds, new monsters, ready-to-play nonplayer characters, and a full-color poster map of Faern.